It’s the most wonderful time of the year: Time for your new Get Ready calendar! The latest edition of our annual preparedness calendar is available and it’s loaded with cuteness. 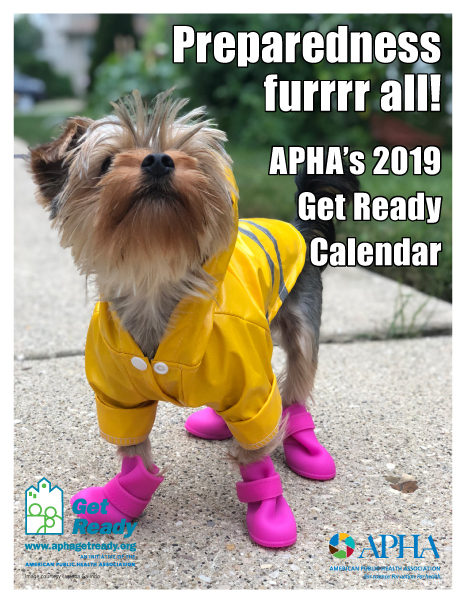 From fuzzy pups to huggable gorillas, our calendar has adorableness covered. Each month also features helpful information on disaster and emergency preparedness from Get Ready. Photographers submitted hundreds of photos in our annual contest. And though we wanted to share them all, we had to narrow it down to just a few cutetastic pics for the calendar. Print a copy for your refrigerator, your bulletin board and your cubicle. They even make great stocking stuffers! Once you’ve printed your copies, share the link on social media and on your website so that others can enjoy the adorableness year-round.